I touched on this last week, when talking about the datamined tier 19 set bonuses, but I wasn't happy with my approximation of Wild Call's effect on Bestial Wrath up-time. So, I spent a bit more time thinking about how to more accurately model the relationship between Dire Beast resets and Bestial Wrath. It's probably worth noting up front that nothing I'm going to talk about today will have the slightest effect on how you play your BM hunter in legion. It's just for funsies. If you find math/spreadsheets fun. As such, I decided to include a really chill sitting-on-the-back-porch-drinking-coffee kind of song, just to set the mood. If you haven't been following the changes coming in Legion, as it stands now, Bestial Wrath lasts for 10 seconds, and has a 90 second cooldown. While this may at first glance seem like a fairly significant nerf from the current version of Bestial Wrath, which last 15 seconds, has a 60 second CD, and reduces the focus cost of all abilities by 50%, they've also added a mechanic to Dire Beast which reduces the CD of BW by 15 seconds each time you cast a Dire Beast, as well as increased the damage buff. Dire Beast received some other changes as well; most notably, it will now be baseline, instead of a talent. In addition, Dire Beast will have a 10 second CD, and will be replacing the current version of Cobra Shot as our only ability that generates focus for the hunter (our pets still have the passive Go for the Throat ability). What this means for our rotation is if we use Dire Beast on CD, we're looking a net CD of 30 seconds. That is, if "x" is the number of seconds between casts of Bestial Wrath, and we BW and DB at the 0 second mark, by the 40 second mark we will cast our 5th Dire Beast: 90 sec [base cd] - 30 sec [elapsed time] - 4*15 [CD reduction from Dire beast casts] = 0 sec". Were that all we had to deal with, I probably wouldn't be writing about it in this blog. There is an additional mechanic being introduced, though, called Wild Call. Wild Call gives you a 20% chance to reset the cooldown of Dire Beast any time you crit. This introduces a couple new elements into our calculations. For one, our crit percentage is going to be a factor in determining how often we cast Bestial Wrath. The second part is more difficult to define, but essentially it's our "total chances to crit". This is affected by a couple of things, but primarily, our haste / attack speed, which in turn of course affects our base focus regen, which also plays a large role in our total chances to crit. Instead of saying "Crit Percentage" and "Chances to Crit", from this point forward, I'm going to define "C" as the floating point of my crit percentage; that is, if I have 30% crit, C = 0.30. I should not here that "C" will be different from what's shown on your character stat sheets depending on what target you're hitting. Against raid bosses, there will be the level difference crit supression. For our purposes here, we'll use for our value of "C" your actual chance to crit. I'm also going to use "T" as how often I have a chance to crit (and therefor a chance to proc wild call). "T" is then the inverse of my actions per second (APS). As it currently works on the Legion Alpha, only Auto-Shot Crits can proc Wild Call. However, due to the wording of the tool tip, I'm currently working under the assumption that this will eventually change, most likely not to include all abilities (like pet abilities), but at least all of the hunter shots. Regardless, as this ability is reiterated, we will just need to change our value "T", and the rest of the formula should remain the same. With only auto-shots proc'ing Wild Call, T will equal "3/(1+H)" where H is our Haste percent in floating point. For example, if we have 15% haste, then we have "T = 3/1.15 = 2.6". If additional abilities are able to proc Wild Call in later versions, then we'll just average those in. That is, if Cobra Shot also can proc Wild Call, and my rotation uses 3 Cobra Shots every 6 seconds, then that would average out to an additional one chance to crit every 2 seconds; between auto-shots every 2.6 seconds and cobra shots every 2 seconds, that would mean that T=1.13. With known values for "T" and "C", we can put together a little calculator. To determine how often we can expect to proc Wild Call, we'll use the duration that would give us an expected value of 1 Wild Call proc. I'll define that duration as "W" (in seconds). So "W = T/(C*0.2)", that is to say, "C*0.2" is our chance to proc Wild Call on each hit, then "T/(C*0.2)" will give us the amount of time it will take until our EV is raised to 1. What we're trying to accomplish is having the difference between the CD of Bestial Wrath and the sum of the time elapsed and the CD reduction due to Dire Beast casts equal 0. If Wild Call procs just gave us additional time reduced form the CD of BW, we could just include the product of the expected value of WC and the CD reduction in our equation there. But instead, it resets the CD of Dire Beast, giving us the additional 15 seconds off the BW CD, but also pushing back when the next Dire Beast will happen. Instead, what we need to do is represent the Dire Beast resets from Wild Call averaged out as a flat CD reduction to all Dire Beast CDs. There are a couple of considerations we want to cover here, too. For one, Wild Call doesn't reduce the CD of Dire Beast by a fixed amount; it reduced the CD by 0 - 9 seconds. That is, if Wild Call procs between 0 and 1 second after you cast Dire Beast, then you'll have 9 seconds removed from the CD (since you'll be able to cast Dire Beast again on the next GCD); if instead, Wild Call procs between 9 and 10 seconds after you cast your last Dire beast, it won't reduce the CD of Dire Beast at all, since the next available time you'd be able to cast it, you were going to be casting it anyway. Because Wild Call could proc anywhere between 0 and 9 seconds, we'll call that an average of a 4.5 second CD reduction. From here, we can start looking at how our Attack Speed / Haste and our Crit rating affect Bestial Wrath up-time. In the table below, I plugged in a few different values for both T (how often we have a chance to proc Wild Hunt) and C (our crit percentage). There are some fun little factoids that come out of this. For instance, at 32.25% crit, you'll have an expected value of 1 Wild Call proc per Barrage (if it turns out that Barrage crits are able to proc Wild Call). That doesn't mean you'll be gauranteed a proc, but on average, you should get one every Barrage. That, however, brings up a problem with our formula above. Any time we have more than one chance to crit each second, or T < 1, then we'll run into GCD trouble. With Barrage, for example, you'll never get more than one Dire Beast reset from Barrage, because you won't be able to use Dire Beast again until you're finished casting Barrage, meaning there will be no CD to reset, and of course, if you break your cast to cast a Dire Beast, you can't start the Barrage cast back up. This would be true of anything happening more than once per second, like if you cobra shot and auto-shot during the same GCD (which is fairly common). Overall, the value of both crit and higher attack speeds / haste will still continue to benefit you, but it won't be at a linear rate. There is one practical use for the above math, and that is determining whether or not it's going to be more valuable to use BW exactly on CD, or if you can save it until right before Dire Beast. In the formula above, we're assuming a Dire Beast is used on the same GCD that Bestial Wrath is cast, directly following it, in fact. If you remove the "+1" from "90 = x + ((x/D + 1) * 15)", you'll get the average CD of Bestial Wrath where you instead use BW directly after casting Dire Beast. While playing in game, pretty much all of the time BW will be coming off CD due to casting a Dire Beast (which reduces the CD of BW by 15 seconds, as stated above). So we can compare the predicted up-time of Bestial Wrath with different values for the time between casting BW and DB. If it's not clear from the 2000 words I just wrote about finding the EV of BW's CD; I perhaps have somewhat bizarre interests, at times. I don't do it on purpose or anything, I just find myself wondering about things that I guess not everyone wonders about. As plenty of people make it clear that they have absolutely no interest in the things I find interesting, it always kind of catches me off guard when I find people who will not only put up with my interests, but explore them and encourage them. So, I wanted to take a minute to say thanks to all of you out there who kind of play the role of sounding board for me, and push me in the right directions when I get stuck. When I was writing the second line of this blog post: "I spent a bit more time thinking about how to more accurately model the relationship between Dire Beast resets and Bestial Wrath", I couldn't decide whether or not the phrase "more accurate" made sense. That is, is something either accurate or not, or are there degrees of accuracy? So I threw the question up on twitter, and actually got a lot of responses from people who had obviously thought about the difference between gradable and absolute adjectives. "I feel and think much as you do, care about many of the things you care about, although most people don't care about them. You are not alone." Thanks for being so cool. 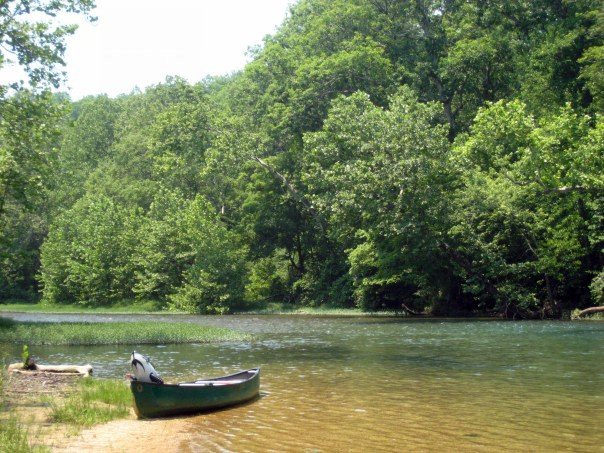 A while back, I mentioned on this blog that I grew up in the Ozark Plateau, which led to my introduction to a fellow hunter and biologist who goes by Aukatos. Aukatos, it turned out, supervised a behavioral ecology lab about 20 miles away from my family's farm. 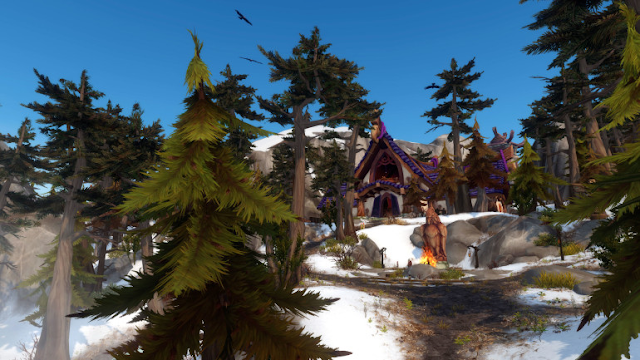 After bonding over some mutual love of the Ozarks, and some brainstorming over how we could put his biological expertise to work in the wow hunter community, we decided to at least start with a little survey of the biological World of Warcraft. We'll be working our way through some of the loosely defined phylum and classes of tamable hunter pets (and non-tamable hunter pets), starting this week with Mammals. So without further ado, I'll turn this over to Aukatos. Hairy business: What’s a mammal? Out of the possible 8-14 million species currently sharing the planet, about 55,000 of those are vertebrates (meaning they have bones, more or less). Of all the vertebrates, only about 5,000 of those are mammals. Even so, when most of us generically picture "animals" in our heads, we most often default to mammals. Whether that be domestic pets, farm animals, or wild animals, most people think of something in a relatively small category in the grand scheme of life. Mammals have many unique features, including: hair, milk, and three inner ear bones (for those that care). Despite the relative scarcity of species, mammals have radiated to inhabit nearly every ecosystem on the planet. In fact, the only places where you won’t find some species of mammal are those without breathable oxygen. Mammals fall into two broad categories: monotremes (read, crazy stuff that lives in Australia), and therian mammals. Therian mammals can further be broken down into marsupials and eutherian (or placental) mammals. The latter is what everybody probably defaults to as typical mammals. Now, to further drive home a point. Only within eutherians, just over 60% of the total species are made up by rodents and bats alone! That’s a lot of bats and rats! Delirium's note: wait a second, according to a scientific paper I read (Watterson, 1989) bats, it turns out, are actually bugs. The point is, what occupies most of our perceptions of "animal" actually represents a small portion, of a small portion, of a small portion of species on the planet. In WoW, much like in our perception of the real world, the largest group of pet families is the mammals. After reading the above, this should make you wonder a little. However, as far as average human perception of life on the planet, I think it’s probably in the ballpark. Fig 1. A phylogeny of WoW’s mammals by in-game family. Numbers above each family represent the number of unique looks (species) within that family. Noticeably, the largest group (most species in family) is cats with a total of 52 unique looks, which I’ll call species. Realistically we’d have fewer actual species, with several subspecies of each. However, for the sake of simplicity, I’ll be treating each look as an independent species. Since mammals are so diverse in form and habitat, I’ll be making some generalizations for the purpose of comparison between mammals in-game and IRL. Do note that there’s a wealth of information on each little tidbit of info that could become an article in itself, but for the sake of everybody’s sanity I’ll be brief. Far and wide: Where are mammals? As mentioned above, mammals have been incredibly successful in adapting to almost every ecosystem on earth where you can find breathable oxygen. From the cold Arctic tundra to the steamy equatorial jungles, from the depths of the ocean to the peaks of mountains, mammals abound. One of the many reasons mammals have radiated so widely is due to the ability to internally regulate body temperature. This allows mammals to inhabit ecosystems much cooler or warmer than their optimal body temperature. Naturally, hair also helps regulate internal temperature – another feature unique to mammals. When you have a Class that is so diverse, it’s hard to get their placement wrong in a fantasy world. 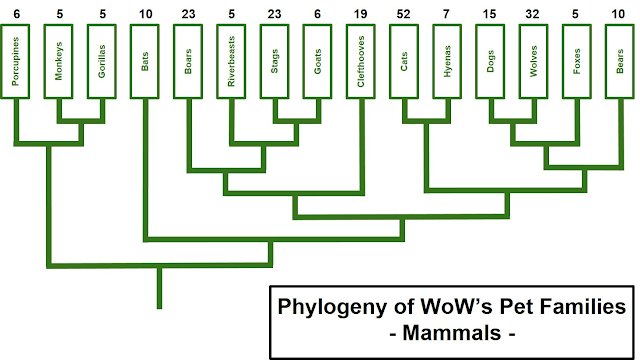 With regards to mammals within WoW, there are three categories they fall into: extant, extinct, and fantastical. As far as extant mammals in WoW, I feel compelled to reiterate the lack of bats. Bats (Order Chiroptera) are found worldwide and come in many shapes and sizes. Fig 2. Who says fruit bats can’t be adorable, or comedic reliefs?! The largest bats, fruit bats (or flying foxes), are found only in the tropics and subtropics. 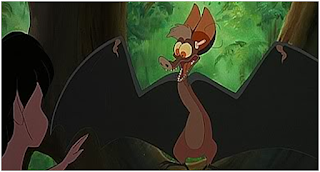 In-game bats are very large, so it follows they would be distributed in the warmer zones, however out of all the zones you find tamable bats, very few are actually in the “tropical” zones but rather in the zones that fit the “spooky” bat stereotype. are the goats to feed the 3 dozen other cats? Allow me elaborate on cats a little more. IRL, big cats are apex predators, meaning that they’re at the top of their relative food chains and need almost exponentially more prey than predators to support any given population. While they are more than capable of taking down live prey, many will also scavenge if an easy meal is available (as is true with many carnivores). This flexibility in diet, combined with their hunting prowess, is what has allowed big cats to radiate across the world. However, in WoW we simply don’t see the relative abundance of “prey” needed to support the cats. I do understand the feasibility versus fantasy argument. In some of the more recent expansions Blizzard actually has taken steps to show “natural” predator-prey interactions in-game (see fig. 3), so perhaps we can give them a pass here. In terms of sociality in mammals, there is great variation. Some mammals, such as bears, only come together to mate, otherwise living solitary lives. On the other hand, many mammals are social, from smaller groups, such as seen in foxes, to the larger, socially complex groups gorillas form. Since pairing animals together in-game isn’t very difficult, this is one area where Blizzard has excelled. Just go take a walk through Nagrand and look at the packs of wolves, herds of clefthooves, and pods of riverbeasts. Let’s talk about cross-species interactions for just a second. Symbiosis (no, not the since-removed Druid ability) has a much broader context than the way most people use it. Symbiosis refers to the suite of ways two organisms or species interact with each other. If both parties benefit, it’s called mutualism; if one benefits while the other is harmed, it’s parasitism; if one benefits and the other one neither benefits nor is harmed, it’s commensalism. Cases of pure mutualism are virtually nonexistent in mammals. Commensalistic relationships are somewhat more common, such as when large mammals stir up insects while grazing that birds may feed upon, but are still rare between two mammalian species. The only case of parasitism by a mammal is in the Vampire Bats! Vampire bats, native to Central and South America, will locate large mammals at night while they’re sleeping. The bats will land on their sleeping host and make a small incision in the skin and laps up the blood. Neat! While there are several species of “vampire” bat in-game, it’s safe to say the WoW versions are much more aggressive (not to mention much larger) than their real-world counterparts. Hyenas are more closely related to cats than they are dogs, although they display many dog-like behaviors. In addition, Spotted Hyena have undergone a role-reversal in respect to many other mammals: the females are larger than the males, more dominant, and have external genitalia that scientists lovingly dub “pseudo-penises”! Is venom only found in snakes? Heck no! There are actually many species of venomous mammals. Aside from the well-known species such as the platypus, there are several species of shrew, slow lorises, and hedgehogs, to name a few. Can they actually do what they do? I specialize in the study of animal behavior, so I tend to pay attention to not only the diversity and locality of our pets, but the abilities each brings to the raid. 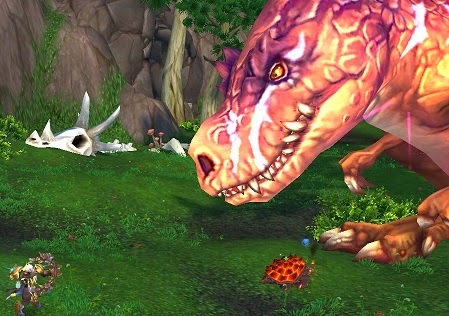 All pet families in WoW have one of three basic attacks: Bite, Claw, or Smack. While I understand the need for the simplicity of such spells, there are simply places where none of the above make sense. Take clefthooves for example. IRL rhinos don’t bite, or claw, or really even smack an opponent. Something like “Gore” would better fit here, and could also apply to other families such as boars or stags. well, you can guess who wins. Basic attacks aside, I think the developers did a pretty decent job choosing appropriate abilities for the mammal families, at least superficially. Sure, not all cats roar, but it’s close enough to home to feel right. One that feels incredibly well-placed is the riverbeast ability, Gruesome Bite. 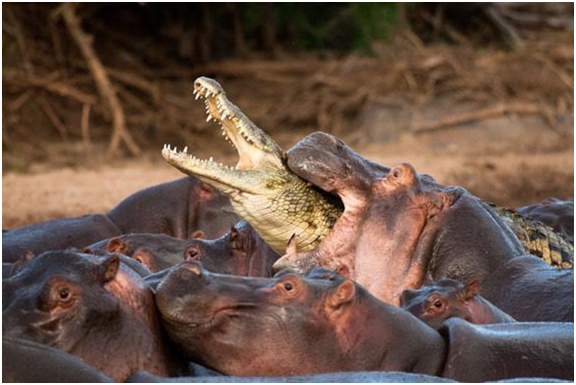 IRL, hippos kill more people every year than the crocodiles they share a habitat with, and are notoriously more aggressive. Not to mention they have the jaw-strength to snap a grown man in two. There’s that. With another expansion around the corner, this is a great time for Blizzard to take a look at pets and their abilities (and they’ve historically done so). As far as mammals are concerned, I’d like to see some more diversity! If we’re going to have an isolated island, there’s a great opportunity to introduce some distant relatives of the mainland mammals, eg. Marsupials or Monotremes! Something like the spiny echidna wouldn’t be too hard, since they’ve got an existing porcupine model. Even a kangaroo or wombat could make an appearance! I know what you’re thinking, but marsupials aren’t JUST exclusive to Australia! Aside from something totally new, I’d like to see some of the families with very few looks to get some attention. In my phylogeny above, there are seven families with less than 10 looks. There is still quite a bit of untouched diversity IRL that could be expounded upon in-game. Take Primates for example: we essentially have one model (with recolors) for monkeys and gorillas, whereas there are over 200 unique species IRL (not to mention subspecies). I’d be just as excited for updated mammal models as I would for new mammal families. If Blizzard was going to add some novel families in Legion, I’d like them to be in one of the lesser-represented groups, say birds or reptiles (which, btw, have fewer families than mammals do combined). But more on that later. Delirium's Note: Since Aukatos wrote this, we now have images of the new wolf and bear models. Check out Bendak's site for previews. Naturally, with a fantasy game, you’ll run into animals that don’t reflect a species that exists today, or some that have never existed altogether. Placing such fantastic beasts into a framework designed around what we know about real animals is hard to do accurately. But, for fun, let’s pretend we can. Here’s a shout-out to some potential fantastical mammals! Chimaeras and Rylaks - certainly boast many mammalian characteristics and, despite their tails, don’t require a large stretch of imagination to see them as such. Quilen - appear to be dog-like, at least the “normal” ones that aren’t stone. I haven’t delved into the lore of Pandaria as much as I would have liked, but it seems that they were mammals and some of which were turned to stone, or replicated with later-animated stone. Sporebats - I know they’ve got BAT in the name, but I just can’t imagine these guys as mammals. Maybe, living plant is more accurate. If any of this is of interest to you, Aukatos will be here on Thrillofthewild.com continuing the Thrill of the Taxa miniseries in the coming weeks, with articles on invertebrates, birds and dinos, and reptiles! If, by chance, any of you haven't already heard of it, Banya has an amazing site going through the taxonomy/classification of every tamable animal in WoW. Definitely check it out. 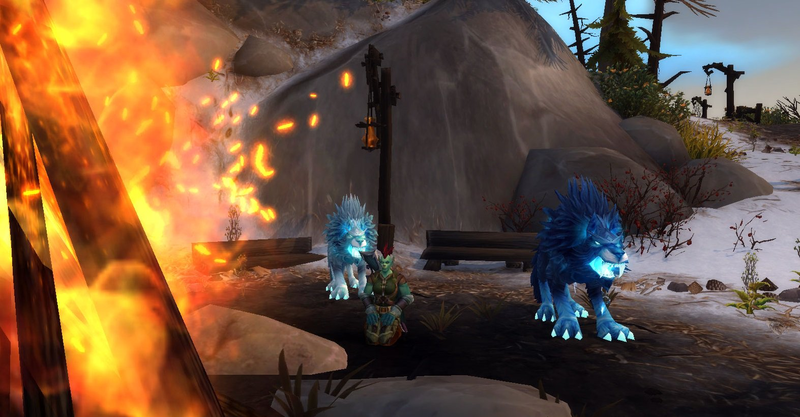 For all your hunter pet questions, petopia has you covered, with detailed maps of how to find every pet in the game. There's also an awesome community of hunters who hang out on the forums there; this is where many of the more difficult taming challenges in the game were figured out, including the spirit beast Gara and the Fel Wolf from Warlords of Draenor. Lately, we've been talking a lot about showing your work, that is, showing how theorycrafters come to conclusions, etc. So I thought it might be fun to take a minute to make this guide, to show how I spend the majority of my time in WoW betas or PTRs. Something that's incredibly amazing about World of Warcraft is the amount of data we have. Sometimes I forget that not every game has a completely separate industry set up around providing data about the game. Most popular games these days have walkthroughs and guides, but nothing like the wowhead and wowdb databases. There are people who's full time jobs are to sift through the information found in the game client, and present it to us. That's awesome. However, it also leads to problems if we get lazy and take that data without verifying it, because the information found in spelldata or in the tooltips for any ability is often wrong. Whether from being input incorrectly from the beginning, or from a hotfix that didn't require a client-side update, what a spell actually does is often different than what it's tooltip/spelldata claims it does. Furthermore, because we have no way of knowing which tooltips are correct and which aren't just by reading them, if we want accurate data, we need to resort to the good ol' scientific method to test and verify our data. A very convenient part of testing in WoW is it's really quite easy. 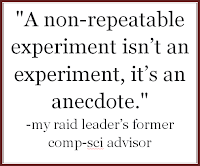 Most variables that would have to be controlled for in a real life experiment simply don't exist inside the game. There are still a few variables we may need to consider, which we'll get into later. For the sake of this blog post, we're going to look at something fairly simple, Black Arrow. Black Arrow has the benefit of being scaled off of Attack Power (not weapon damage, which is a bit more complicated), and causing Shadow damage, which isn't affected by armor. We will still build something into our tests to verify that it's not being affected by armor and isn't scaling off of weapon damage, but that's just sort of a "just in case" measure. Does 1 tick every 2 seconds. Ok, so much of that isn't important to us at the moment. The big changes from Black Arrow as we know it in Warlords of Draenor are: it's now a marksmanship talent, instead of a Survival baseline ability; it now has 3 charges, with separate cooldowns; and it's duration was increased from 20 to 26 seconds, so it should give 13 ticks, instead of the 10 ticks it did during WoD. Of those properties we learned from spelldata, there are just a few that we want to test and verify. Does each tick do 20% of Attack Power as shadow damage, and does each cast indeed do 13 ticks? So now we just take a trip over to the target dummies to test it out. To set up our test, we want to plan in a few variables. The best way to start out, is to take off all of your gear, and head to Orgrimmar or whatever your favorite capital city is, and find a white quality weapon from one of the vendors there. What you're looking for is a bow like the Worn Shortbow. This is ideal for testing because the WD range is 1-3 (so you don't have to worry about the huge variance that current level bows have), and it doesn't have any other stats, so there's less to control for. Next, you'll head over to the training dummies. The first problem we're going to run into is that training dummies have pretty much the same percent HP all the time. That is, there are some that are always at 100% HP, and some that are always at 15%, etc. There are some abilities that react to the HP % of your target, so that could be an issue we need to control for. Blizzard gave us a great tool for this a few expansions ago, over in Shattrath. If you go to Shattrath on the PTR or Beta versions of the game, there are killable target dummies. These start at full health and take damage until they're at 0% health, at which point they die (only to respawn a few seconds later). This lets you test your full rotation, with executes and over a set duration of time. However, so far we have no reason to believe that Black Arrow is affected by our target's HP, so while we may double check against a killable target dummy eventually, at this point, it's not needed (plus when not wearing any gear, and using a white quality weapon, it would take quite a long time to actually kill one of those dummies). Back in your WoW client, turn on combat logging by typing "/combatlog", then start firing your Black Arrows. We want a significant number of data points, which can get a bit boring, so now is a good time to turn on Netflix and watch Buffy the Vampire Slayer in your other monitor. Once you have about 30 or 40 casts (you don't really need thousands of data, but you do want a lot), hit feign death to end the fight in your log (one of the nice conveniences of testing as a hunter). Alternately, you can just type "/combatlog" twice to turn off logging and turn it back on. Assuming you were wearing no gear for the first test, you'll next want to put on a piece of gear and record how that affects your stats. You should have slightly more AP, and a couple of secondary stats. You're going to repeat this process several times, putting on more and more gear so that you'll have more and more AP and other stats to test between. You can also, at this point, try testing different weapons. Just be sure to end combat between each test, and write down your stats with each variation of gear you're wearing. You can, in general, use any pieces of gear you have to create various stat levels. However, what you don't want to put on is anything that will cause stats to vary during combat. This includes many trinkets, or any weapon that has an enchant that procs. You'll also want to avoid any sort of on-use items, though of course you can still wear them, just ensure you're not on-using them. As I mentioned earlier, we believe Black Arrow to be doing Shadow Damage, which means it should not be affected by Armor, but we still want to check, just in case. The easiest way to do this is to try your test against different types of training dummies. The raid dummies (which are set 3 levels higher than the player level cap) will have more effective armor than the dungeon test dummies, which will have more effective armor than the PvP test dummies. If your results are the same for each type of dummy, you can feel assured that armor isn't a part of the equation. After running this test at several different stat levels, it's time to start interpreting the data. This is the fun part, I suppose. We're quite fortunate to have several good logging sites these days. You can use warcraftlogs.com or askmrrobot.com, or even Matlab, if you're into that kind of thing. I'm going to be using Warcraft Logs for this example, but really just use whatever logging site you prefer. The information we're interested in is for the regular tick, not the crits (MM critical damage has a lot of factors, and we don't need to reverse engineer it, to determine the coefficient of Black Arrow, though that may be part of another test we'd want to do, at another time). So I'll go back the spreadsheet where I've been recording my stat and such, find the applicable test (I label my tests in order, 1, 2, 3, etc., just because most logs show the fights in chronological order, so it's easy to match them up). The first thing I want to mention is the cell called "(m+M)/2". I have to call it that, because I've yet to hear of any sort of terminology for that type of average (but if you know one, let me know in the comments). What it means is the minimum result plus the maximum result, divided by two. I'm not going to get into the reasoning for this in too much detail here, but the basic idea is, in a Normal (or Gaussian) distribution, taking the mean average will generally yield the most accurate result, occasionally you may use the median or mode for some data sets, I suppose. 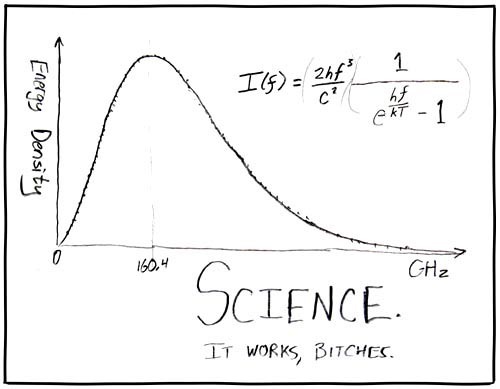 However, our results in wow do not have a Gaussian distribution, they have a uniform distribution. So you're more likely to find the true average by looking at the halfway point between your smallest and largest data points, than by taking a traditional average. For more information on this, check out Hamlet's article on wow distributions. The final four cells are where we put our formulas. Because the spelldata we looked at earlier tells us that this ability is based on an AP coefficent, we're going to at least start by working off of that (it may be helpful to look at a possible Weapon damage coefficent later, if having an AP coefficient leads to inconsistencies). I like to keep a cell open for all four of the min, max, average and (m+M)/2. To get an accurate result, you really only need to look at (m+M)/2, though. I just happen to find it helpful to look at all four if something doesn't work out right. In the case of abilities modified by an AP percentage, there's generally a very small range, so in this example, as you'll see, each cell gives nearly identical results. So in the bottom right four cells, I'm simply going to take the relative result (min, max, etc) and divide it by the AP I wrote down above. If I had any versatility, I would need to multiply "1+v" (where v is the floating point for my versatility percentage) by my AP first, but in this case I have none, so it's not part of the equation, at the moment. Something we can also try at the point, is checking if there could be a weapon damage coefficient. However, doing so quickly shows that you get wildly different coefficents with different weapon damage values, where as with trying for an AP coefficient, we get the same result regardless of the AP value or the WD value. So we can feel quite assured that we're dealing with an AP coefficient here. In this particular case, all of my tests gave me the result of an AP coefficient of 26%. 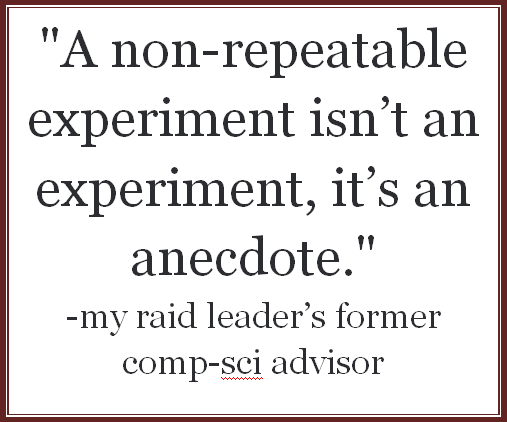 Our scientific definition of "correct" is an hypothesis that can accurately predicts results. By this standard, with enough data points and variations of the test, I'm convinced that we've got the correct coefficient. It's worth noting here, that there is a significant difference between 20% AP per tick and 26% AP per tick. It means the full value of the ability over its entire duration is 338% AP, instead of 260% AP. In a spec that may end up with too much focus, at least during certain points in the rotation, like when building stacks of vulnerability, this may end up being a worthwhile talent. Regardless, we want to know how much damage it actually does, or there's no point trying to make comparisons with other abilities or talents. If this is the type of thinking/experimenting you're interested in, check out these articles by people who've been doing theorycrafting way longer than I. A proud heirloom of the Windrunner family, Thas'dorah was carved from a bough of the mother tree of Eversong Woods shortly after the elven kingdom of Quel'Thalas was founded. Handed down to the eldest of each generation, the bow was last wielded by the high elf Ranger Captain Alleria Windrunner. It disappeared along with its owner following the destruction of the orcs' homeworld, Draenor, and the subsequent formation of Outland. Deadly Aim - Critical Strike damage increased by 10%, that is, critical strikes do 210% the damage of a normal hit. Precision - Focus Cost of Aimed Shot is reduced from 50 to 44. Marked for Death - For 10 Seconds after casting Marked Shot, Aimed Shot has a 15% greater chance to crit. Legacy of the Windrunners (on equip ability) - When you cast Aimed Shot, there is a chance for 6 extra Wind Arrows to coalesce and also shoot at your target. Quick Shot - Trueshot's cooldown is reduced from 3 minutes to 2 minutes 30 seconds. Rapid Killing - While Trueshot is active, your crit damage is increased by 50%, so that crits will do 250% the damage of a regular hit (260% for Aimed Shot). Whispers of the Past - While Trueshot is active, any target marked with Hunter's Mark will be hit by a passive ability (called Whispers of the Past in logs, or Wind Arrows in tooltips) that are currently doing roughly 2/3 weapon damage every 3 seconds. Call of the Hunter - Marked Shot has a chance (currently unknown) to summon a regiment of fallen hunters that will shoot arrows at your targets (damage currently unknown). Windrunner's Guidance - Marked Shot overall damage is increased by 10%. Critical Focus - Arcane Shot critical strikes generate 10 focus (double the amount from a normal hit). Call the Targets - Multi-shot damage is increased by 10%, to 65.05% of weapon damage per target. Mark of the Windrunner - Hunter's Mark can now apply to one additional target. Gust of Wind - Reduces the focus cost of Bursting Shot by 10, from 50 to 40. Healing Shell - While AotT is active, you heal for 24% of your max health over 8 seconds. Survival of the Fittest - All damage taken is reduced by 10% (a la Iron Hawk). Bullseye - Special Attacks against a target below 20% HP give a stacking 3% crit buff for 6 seconds. Windburst - a 3 sec. cast shot that deals relatively weak damage, but costs no focus. Having tried a few different iterations of the artifact weapon talents that are currently unlocked on Alpha, the first thing that really jumps out about the artifact talents is that none of them really change your rotation. There are a couple that I'll make some notes on, though. This ability doesn't have a place in your rotation. The only exception to that might be pre-casting on the pull, if the added speed can be helpful to melee running toward the boss. As it is, Windburst isn't doing the 500% weapon damage that it's tool tip claims it should be doing; instead, it's doing about 300% weapon damage, which is significantly less than an Aimed Shot, even with no stacks of Vulnerability. If, after tuning passes, Headshot is a very powerful ability that benefits significantly from use at full focus, we may end up pre-casting Windburst (which has no focus cost), followed immediately by a Headshot, so that we've used up all our focus and can then cast a lot of Arcane Shots in order to proc Hunter's Mark, without fear of focus capping (at least not for a few GCDs). This is currently not an ability we can test on the Legion Alpha, as Artifact Weapons are capped at 10 talents. So (as with everything I'm talking about here, 'cause alpha), it's possible none of this will be the least bit applicable by the time Legion goes live. However, it's still fun to think about. On first glance, Bullseye doesn't look too interesting: 3% crit for 6 seconds is fairly insignificant. But what gets really interesting, to me at least, is that this doesn't include a cap for stacks. On bosses with large health pools, where we're perhaps staying under 20% HP for a significant portion of the fight, we should be able to see 100% crit for a while. What makes this potentially insane is the number of critical strike damage increases we now have: our mastery, Sniper Training; Deadly Aim, a 10% increase to Aimed Shot critical damage; and Rapid Killing, a 50% increase to all critical damage during Trueshot. Lining up Trueshot with the end of a fight should be a recipe for some crazy damage spikes. There is one question still up in the air, that will have a huge effect on how we play the game, and that is if Bullseye will be a debuff on our targets, or a buff to the hunter. Most MM hunter's are currently familiar with a practice called Kill Shot Sniping, where you pick off targets that are below 35% health, to cast your kill shots on while the boss is still out of the execute range. If Bullseye is a buff for the hunter, instead of a debuff for our targets, then it may be a way to gain some small crit buffs throughout the course of a fight. Maybe it's just me, but it seems odd to me that we have these artifact weapons with big long talent trees on them, but each one also has an on-equip ability. For BM hunters, you get to summon Hati (Skoll's brother), which is a fairly huge part of the spec in Legion. For MM and SV both, we get these weird passive abilities that seem like afterthoughts. For MM hunters, we get this proc of 6 shots, that seem to do about 100% weapon damage. This happens about ever minute and a half, and not in a way you can rely on in the slightest. The other part about this that bothers me, is you don't actually notice it. In MoP, our legendaries had that big Xuen symbol that appeared and a spray of projectiles coming out from us. In WoD, the ring made you get really big and then explode. In Legion, you get a few extra auto-shots, and not very often. The biggest complaint I have about the artifact weapons isn't about any of the abilities or mechanics being introduced, but is instead with the game design in general: our artifact weapon isn't making us more powerful. Instead, Blizzard is making everything less powerful to begin the expansion, then slowly giving us our power back as we level. Of course, as with any game, increases in power are always an illusion, as the more powerful you get, the more powerful the bosses get. The goal then of the game designers should be to create a convincing illusion, so bosses are still hard and interesting, but we feel like we're getting more powerful. In this respect, for Marksmanship, at least, the artifact weapon is a failure. I'm not saying they're aren't a some interesting abilities, and some fun interactions with the spec, but I don't feel like I'm using a powerful artifact; I feel like I've been nerfed, and am slowly regaining the power that I should have had as a baseline. Didn't they threaten to take away Distracting Shot last xpac, too? For you, distracting shot, are ideal style of play. to keep ads at bay, giving healers a fright. I love thee freely, as pets love the fight. I love thee purely, as hunters love a good ale. In peeling off mobs ’till there is not one left. I shall but love thee still after blizzard puts you to death. Last weekend, I tried to dedicate a good chunk of time to practicing the new Marksmanship spec on the Legion Alpha. Truth be told, there's really not a ton to do at the moment, other than leveling. In WoD, I didn't get a beta invite until after max level was opened, so once I did get in, I spent pretty much 100% of my time in Shattrath, beating on the killable raid test dummies. We don't yet have that luxury in the Legion Alpha, unfortunately. That means, I'm spending a lot of my time leveling, and re-leveling, to try to get as much feel for the various artifact talents, and just get a grasp on the feel of the spec. As hunters, we've never really had to think about leveling. I've heard rumors that when people are playing support classes, they have to think about what mobs they're pulling, how they're going to deal with any special mechanics, etc. For us, for the last few expansions, at least, if by some odd chance we've found one of the few mobs that had a special ability that would kill our pets, then we would just use our ample tool kit to kite the mob until it died, leaving feign death as a last resort, if we made any mistakes. 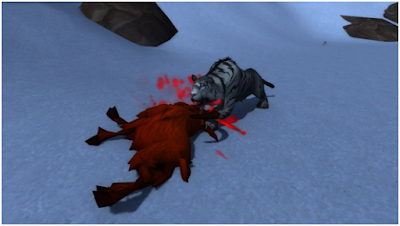 For the most part, the feel of leveling is still the same for marksmanship hunters. Even in the starter gear they give the pre-made level 100 characters (so far you can't copy your characters to the alpha), I've yet to come across any individual mob that I needed to plan ahead for; the only significant difference is instead of mindlessly pet tanking, you're focus is placed on kiting. Along with the removal of many of our most interesting utility abilities, Blizzard has (at least as far as I've found so far) removed the mechanics they might have negated. That is, I've yet to come across a mob with an enrage buff that tranq shot would have removed. Just to clarify, I'm still very upset about the dumbing down of the hunter class. I'm not trying to say it was a good decision on Blizzard's part. I'm simply stating that we won't notice the loss of those abilities in the leveling process, as they've equally dumbed down the rare and elite mobs that you run into while leveling (again, perhaps I just haven't run into the interesting mobs yet). What keeps MM interesting, from my perspective, at least, is that the mobs are set up very similarly to WoD. That is to say, they're everywhere. If you don't pick out your kiting path carefully, you'll likely end up pulling dozens, perhaps hundreds of mobs. In fact, dealing with large packs of mobs was the most fun part. It took me a while to get back into the mindset of efficient kiting, but once I did, it seems there are lots of opportunities where you can take on a dozen or so mobs at once, focusing down the casters (who you no longer have the option of MD'ing to your pet) while kiting around the melee. One of the fun parts about leveling as a hunter has always been going into a zone, tagging every mob in a 40 yard radius, and laughing at the silly support classes who tried to take the mobs on one at a time. We fortunately still have that option in Legion, it's just a much higher risk (I actually doubt their will be any risk for anyone in raid gear, but if you're starting the xpac in WoD greens/blues, there will be). In WoD, Blizzard removed the achievements for being the first ___ to reach max level. The point was, as far as I can tell, to encourage people to enjoy the leveling experience instead of rushing through everything. With Legion, they're adding even more incentive to being out in the world questing and exploring, through the means of empowering your artifact weapon. Every rare I found dropped a token that gave you artifact power. Several quests offered artifact relics as their rewards, which also adds the benefit of experiencing some of the artifact talents earlier than you would if unlocking those talents with artifact power. I think this is a good thing overall. Depending on how quickly the first raid opens after the release of Legion, it may be worthwhile to do the loremaster achieve on your first playthrough. I'm so incredibly tired of Horde vs. Alliance story lines, while that remains a part of the legion experience, the introduction of class halls means we have a much greater calling than some petty faction. Let's be real, for those of us playing the only legendary class currently available in WoW, our allegiance has been to our class for a long time. While I can see the benefit of faction squabbles for people who play one of the support classes, since they don't have anything as glorious as Hunter to rally behind, it just never meant much to me. The point of that is, having a class hall is great. I don't want to put any story spoilers on here, but I'm very glad to be pledging allegiance to something other than the horde/alliance. However, not letting horde/alliance talk to each other is a huge mistake. We should at least be able to speak with each other within Trueshot Lodge. I'd be more than willing to work for this, also. Perhaps there could be a game mechanic where you have to gather a certain number of tomes for each race and that would let you learn to understand them in the various class halls. Or we could learn a special hunter code that allows us to communicate with our fellow hunters, but not any other class. However the issue is addressed, it needs something. It's silly to continue the language divide while sharing a class hall.